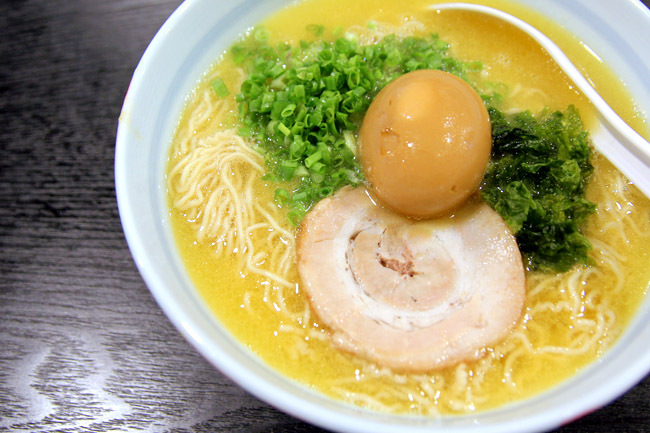 Fans of Marutama Ramen (I call it the basketball face ramen) swear by it and gives their full support at its branches at Central, Liang Court and United Square. Surprisingly, response at its new Killiney Road branch is rather lukewarm, with less than three tables of customers everytime I went. Come-on, the mammoth Singtel is just opposite. If you are Marutama’s boss and happen to be reading this (or somebody who intends to take this shop space some time down the road), this corner shop has changed hands from House of Rice Roll and Porridge , Sun Coffee Planet, Ding Ji Café to BigBank Café which also did not manage to survive. I leave you to sum your own conclusion. Marutama’s selection is simple with four types to choose from – Non-spicy chicken soup ($12), Nama Karashi spicy chicken soup ($12), Aka ramen with 7 kinds of ground nuts mixture ($15) and Tan-men chicken soup ramen with vegetable toppings ($13). What attracts me most is the thin-curly homemade Hakata-styled ramen noodle, which kinds of resembles instant noodle (and I don’t mean it in a bad way). It is one of the first stores which serve pure Toripaitan broth (milky chicken broth), which needs to be cooked and prepared about 5 hours daily. 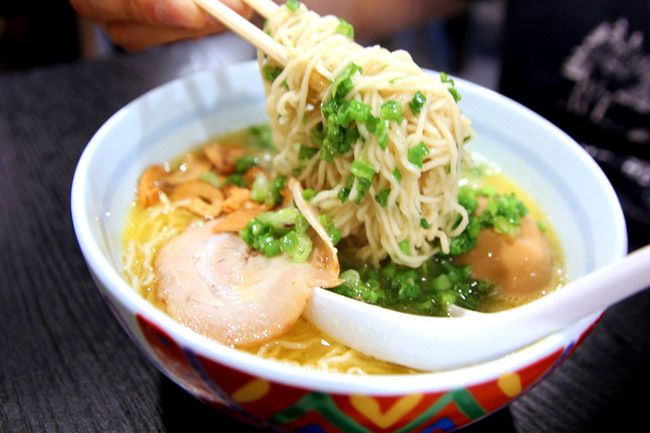 My personal favourite is its Aka Ramen as there is a more layered nutty taste and light-spicy flavour which is quite unique and unexpected if you are a virgin to their soup. 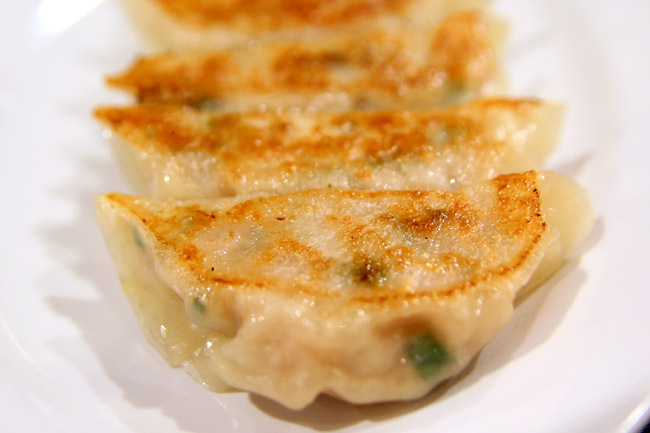 Do add some of those deep-fried garlic which brings out the essence of the soup. But don’t do that during a date. 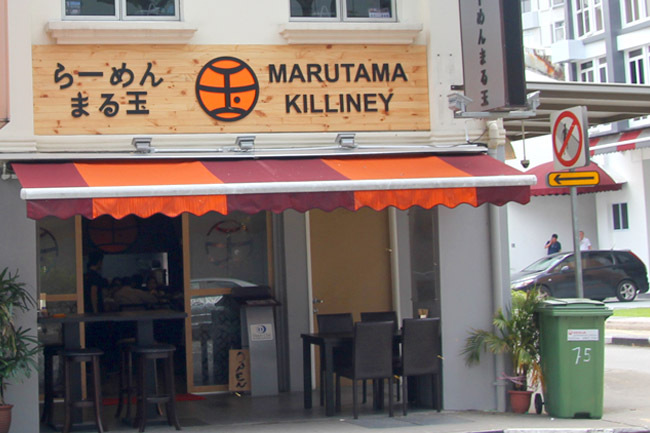 Marutama is a well-known Ramen which has developed their shops not only in Japan, but also in Singapore, Indonesia, Malaysia and Thailand since the first restaurant in 2001. Let us see how long its newest Killiney branch can survive. Maybe because not many people know of this branch? I work just around the corner(Im nearer Liang Court) & I dun even knw of this branch! I hope their latest outlet can survive and defy the odds! NB: Nantsuttei should be the correct spelling! 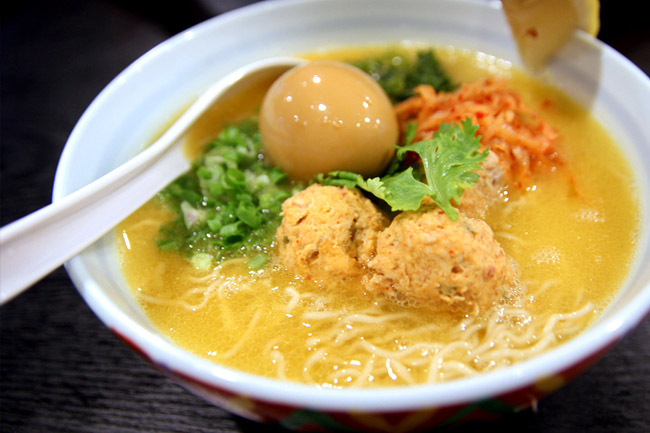 Hi Daniel, any idea on the calorie count on marutama ramen with egg? Found a fly in soup and show to waitress. Waitress bring back to show cook n remove the fly. Then insisted that it was pepper that i saw. Really absurd!